“Jessica is the fifth child born in our family. She was born with Down syndrome and completely changed the fabric of our lives. Accepted by our family & friends, we all embraced the challenges we knew we would face every day but we were determined to treat Jessica like any of our other children in her education and all ways of life! We wanted to give her all the opportunities to grow up and become her own person! Our family stands behind Jessica 100% in all she wants to achieve in her future. She has done just that and now after turning 18, she has her sights on continuing her education by going to college to pursue a career in drama/acting. She also will be collaborating with her father in writing the next book in the Just Jessica series to continue spreading the message that everyone is “A Lot Alike A Little Different”. 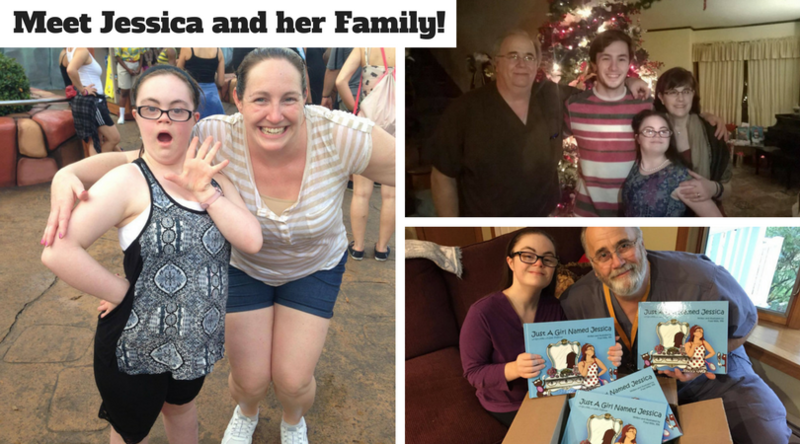 Jessica and her family will also be at the CT Down Syndrome Convention on 11/4/2017!